Other Products by Horleys. Search other Amino Acids products. 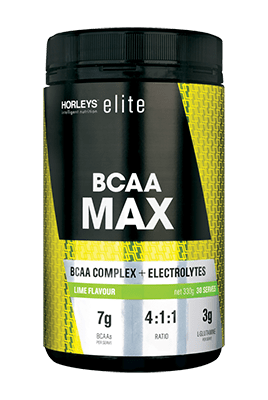 Horlyes BCAA Max provides a superior amino acid complex by delivering all the essential amino acids, including the BCAA’s (Leucine, Isoleucine and Valine). Intense physical training causes muscle tissue breakdown so the ingestion of these amino acids during training promotes protein synthesis and the recovery process, thus having a balancing effect to pave the way for anabolism (muscle growth). Also providing the anti catabolic Glutamine, BCAA Max provides further protection from muscle catabolism and aids muscle growth. High intensity activity depletes glutamine levels. As it is required by other parts of the body including the immune system, a deficiency or low intake of glutamine will cause it to be taken from these areas to deliver it to the muscles. BCAA Max increases cellular energy production with the inclusion of carnitine and citrulline malate to power your workout. Further enhanced with Bioperine to increase absorption, BCAA Max delivers a potent and effective anti catabolic amino acid matrix. Mix 15g of BCAA Max with 200ml of cold water and mix well. Let stand for one minute, then shake again. For best results use BCAA Max as an intra-workout supplement, drinking during the first half of a training session. 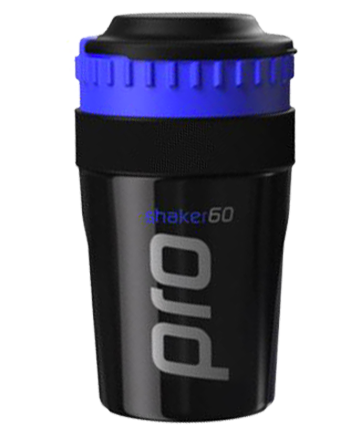 INGREDIENTS: BCAA Blend (L-Leucine, L-Isoleucine, L-Valine), L-Glutamine, Electrolyte Blend (Magnesium Oxide, Sodium Chloride), Citric Acid, Xanthan Gum, Flavour, Sucralose, Niacinamide (Vitamin B3), Pyridoxine HCl (Vitamin B6), Riboflavin (Vitamin B2), Thiamine (Vitamin B1).